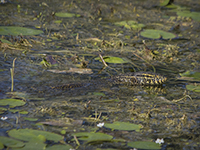 Home > Current Projects > Is Containment or Eradication Possible for Invasive Nile Monitors? 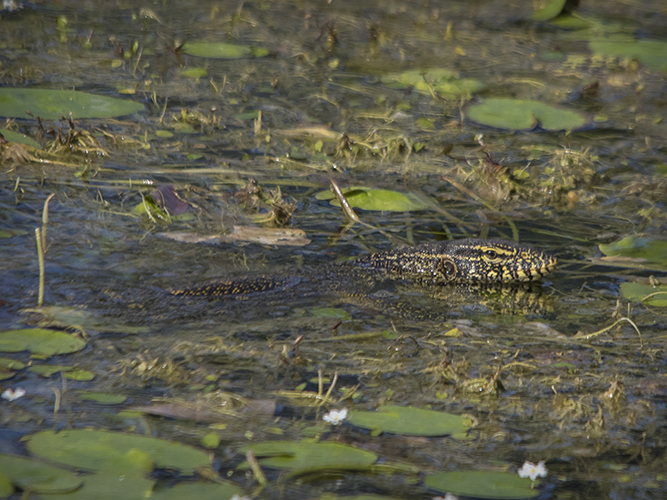 Is Containment or Eradication Possible for Invasive Nile Monitors? Currently, the four largest species of lizards established in Florida are nonnative species. One of these large lizards, the Nile monitor (Varanus niloticus), can grow to more than six feet in length and is native to sub-Saharan Africa. 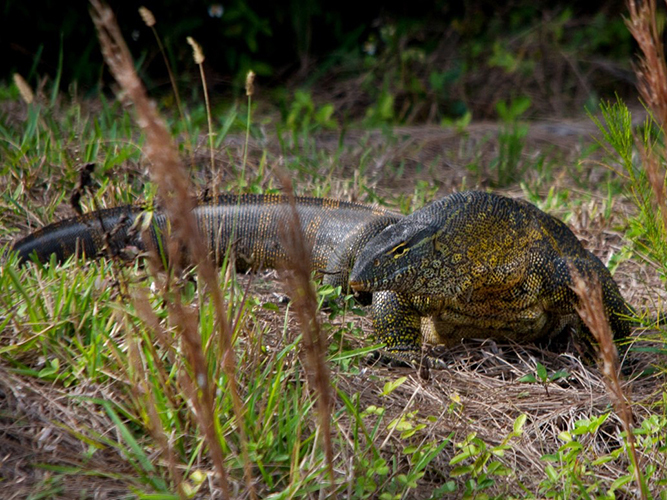 Nile monitors are known to have breeding populations in Lee and Palm Beach Counties, but evidence suggests that established populations may also exist in Miami-Dade and Broward Counties. Nile monitors are strong swimmers, climbers, and generalist predators. They are known to prey upon aquatic and terrestrial invertebrates and vertebrates, and the eggs of reptiles and birds. This makes them a threat to native wildlife, including endangered and threatened species like American crocodiles, sea turtles, and burrowing owls. 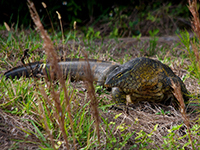 There have been other species of monitor lizards found in South Florida, including the common water monitor (Varanus salvator) and savannah monitor (Varanus exanthematicus), but with no evidence of breeding.